Building on the simplicity of the OmniCure® LX Series plus the ability to control up to four UV LED Heads simultaneously or independently. Building on the simplicity of the OmniCure® LX Series plus the ability to control up to four UV LED Heads simultaneously or independently. With peak irradiance of 8,000mW/cm2 with the 365nm UV LED Heads, 9,500mW/cm2 at 385nm, and 9,000mW/cm2 at 400nm, as well as up to four LED. 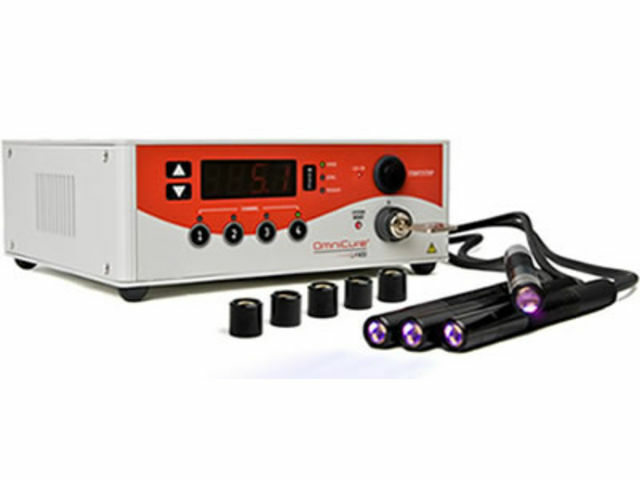 Heads installed, the OmniCure® LX400 UV LED Curing System provides the highest power and most reliable UV LED technology currently available with variable UV power output. Where multiple LED Heads are required, irradiance on each head is uncompromised and consistent. 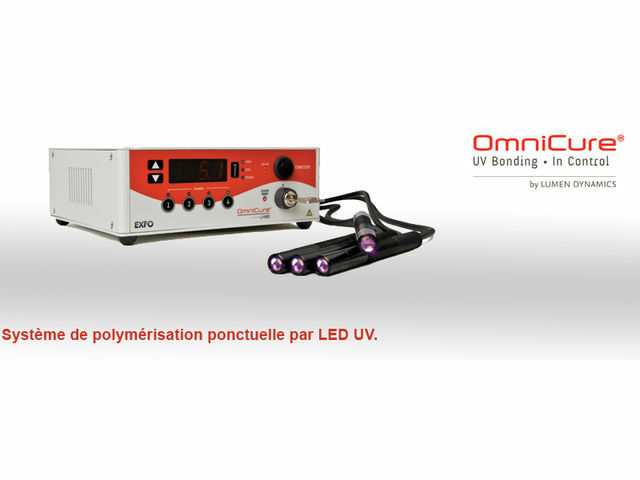 The OmniCure® LX400 offers the ability to control up to four UV LED Heads simultaneously or independently. 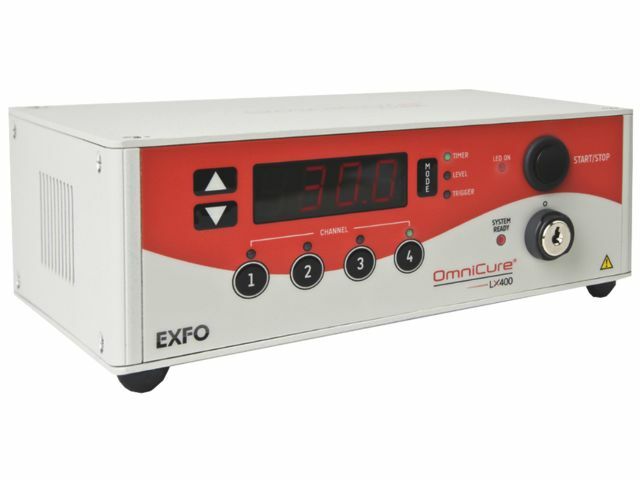 This ability makes the product ideal for manufacturing setups where single or multiple foot pedals are needed to control multiple curing stations simultaneously. To enable a higher level of control, each UV LED Head can be set for different exposure times and intensity levels. The intensity levels for each head are set in 1% increments in a group or each head independently. The focusing lenses are replaceable. Such flexibility enables the OmniCure® LX400 users to change the lenses to accommodate the applications without the need to replace the UV LED Heads. This also reduces the downtime to reconfigure the OmniCure® LX400 for other applications. LED Head, 385nm UV LED Head, and 400nm UV LED Head).